We were wrong about Jo Cox's successor as shoe-in Member of Parliament for the Batley and Spen constituency. The candidate is not Brendan Cox, the grieving widower, but some local actress or other. Instead Brendan is taking the kids to meet Obama, so we even got the league wrong in which he wants to bat. We were wrong about Andrea Leadsom– dreadfully, embarrassingly wrong. She is not now the Prime Minister, but currently doing grateful penance for her lèse-majesté by being the Secretary of State for Environment, Food and Rural Affairs. Her last known act was perpetuating the lunatic project rolling out 'smart meters', so perhaps she has found her level. Alan Duncan, the odious MP who fanned the last Twitterstorm against her ('Vile'), has become Deputy Foreign Minister, under – careful! – Foreign Secretary Boris Johnson. Cabinet Meetings must be such fun. No one from that useless quango the Electoral Commission has been brought to account for the chaos and incompetence surrounding the register of voters for the EU referendum. The Clinton campaign rolls on. Despite this and so much more, around half of the electorate may vote for her. The Swiss classe politique is still muddling along trying to implement the voters' wishes in various referendums, currently having to admit that there is nothing it can do to repatriate foreign criminals or influence EU immigration. Our obsessive gnawing at the alien nature of the referendum in the British political system here,here,here and	here	has been utterly pointless. However, the result of the dice-rolling exercise that was the EU Referendum was really quite pleasing, so perhaps we will save our breath to cool our porridge for the moment. Always wise. 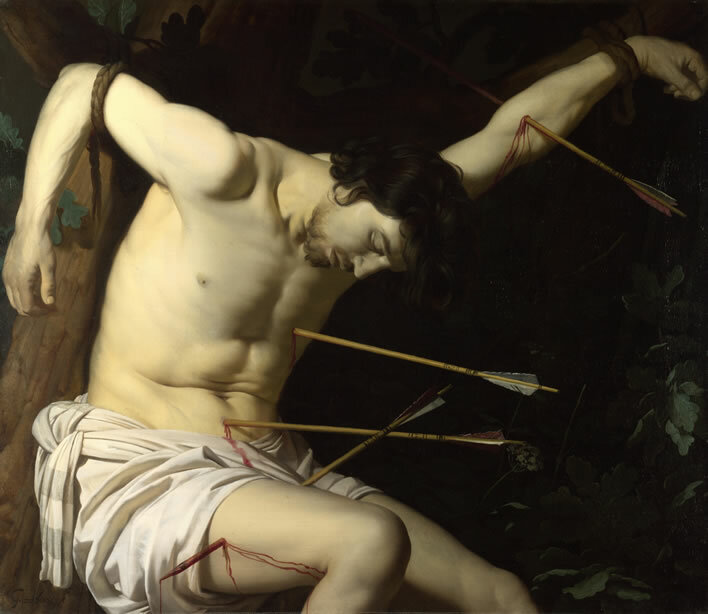 Gerrit van Honthorst (1592-1656), Saint Sebastian, c. 1623. Image: National Gallery, London. We'll stick to Schubert, 18th-century European history and other safe oddities from now on. 'We generally keep away from day-to-day happenings in the world', it says in our About Us section. With good reason, it seems.